It’s an exciting experience buying your first home. It’s the culmination of years of planning, saving, and dreaming. But for all the excitement, buying your home can be nerve-racking and emotionally exhausting. Having great resources available can help make the process easier. Below we’ve listed just a few of these. Quicken Loans Mortgage Calculator – This calculator is unique in that it doesn’t just help you figure out how much a mortgage would cost, but can also help you figure out how much you can afford. All it takes is to put in some very basic information. HomePath Ready Buyer – This is a program offered by Fannie Mae to help first-time home buyers own a home for as little as 3 percent down. Besides being a first-time purchaser, you must also plan to live in the property as a primary residence. It needs to be a foreclosure, and you have to pass a homeownership course that costs $75 enrollment. Hud’s State Listings – HUD maintains a listing on their website of all state and local programs for homebuyers. If you don’t find anything you qualify for a good next step is to check your local housing authority. Both of these can help home buyers find programs they might qualify for that could potentially save them money or help make getting a home easier. Employer Assistance – If you need help coming up with a down payment or getting a loan your employer may be able to help. You should either look in your employee handbook or speak with HR to find out what your options are. Another good place to check is your labor union, which may have additional options available to you. Mortgage Credit Certificate – Qualified purchasers can receive a reduction credit on your taxes based on the interest of your mortgage. These are administered by local and state governments. More information can be found on the IRS website. Home Buying Guide – This guide can help first-time home buyers know what to expect, how to find help, and provides listings of resources available. USDA Loans – The USDA offers loans with low interest and a very small needed down payment. The loans are only available in rural areas, as defined by the map on their website. The home must also be the primary residence of the purchaser, and it must be a first-time purchase. There may be additional qualifications. The Digital House Hunt – This publication, done by Google and The National Association of Realtors, offers assistance on browsing virtually for homes. It also takes a look at recent (as of the publication) trends in the mortgage and real estate industry as it pertains to first-time home buyers. Home Buying Legalities – This article was published by the Attorney General of Texas. 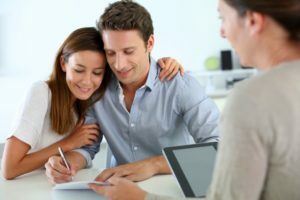 It provides a look at the legal side of home purchasing, including which documents you will need to have prepared ahead of time and which will need to be completed to make your home purchase official.